o0 🎹🎛🔈now has a Deluge! 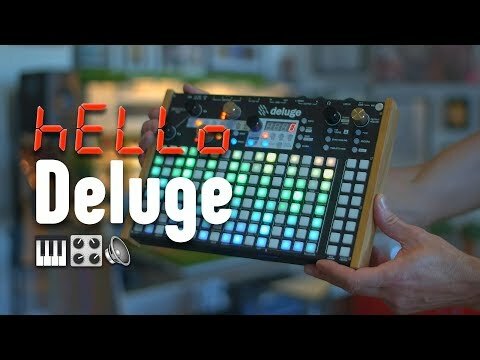 Hi, I'm Olivier, and I just got my Deluge yesterday! Very excited about this new addition to my setup. I'm mostly hardware-based in my home studio, with a number of small boutique analog and digital synthesizers all driven from a Squarp Pyramid sequencer, and the plan is to have the Deluge take over from an Elektron Digitakt as the primary sample-based Drum machine and sampler while in the studio, and the goto box to take out on trips and other places when "the one box" is all you need or want to have with you. Nice. Good demonstration and groovy tune.